Cheap RV Living.com -Join the Tribe at Thanksgiving! Cheap RV Living.com -Join the Tribe at Thanksgiving! Join the Tribe at Thanksgiving! Steve and my first Thanksgiving dinner in 2012. I think there were about 14 of us there that day. Steve prepared almost everything and it was delicious! He is doing it again this year, November 27, 2014. Plan on joining us! We need to know how many people will be there so PLEASE, don’t just show up! Let me know as soon as you can that you are coming. In the last few days I’ve been making contact with some old friends and making new ones, and as I visited with old and new friends I was struck by how deeply my life has been enriched and improved by the hundreds of vandwellers I’ve met in the last 6 years. Like most of you I’m a pretty private person and much more of an introvert than an extrovert. I thrive when I’m in the desert or forest with very few people around me and in the idea of living in an RV Park, campground or city is literally repulsive to me. Being packed in with so many other people is my idea of hell on earth! But no matter how much of a loner we may be, every single one of us is born with a need to make connections with other human beings. New Years Day, 2014. I think there were about 15 of us there that day. Mark and Donna cooked an incredible ham in their cast iron Dutch Oven. Everyone brought a dish and it was as good a meal as I’ve ever eaten! From the earliest dawn of human history we’ve gathered together in groups for safety, comfort and companionship. Making deep and lasting tribal connection with others was a matter of life and death and so over the eons being a member of a tribe has literally been written into our DNA code. Because of that, it’s difficult to be fully happy without a connection to a tribe. But, at the same time, there has always been a small group that could not resist the lure of individuality, travel and adventure–they had an irresistible urge to know what was around the next corner and over the next river or mountain. They pulled away from the tribe and followed the beat of a different drummer. They are the nomads, gypsies and adventurers who changed and shaped our world. Thanksgiving Dinner 2013. This is the only time that I cooked the Turkey on my Bar-be-Que grill. It turned out quite well, even if I do say so myself. Everyone brought a dish and it was wonderful! I’m one of those people, and since you’re reading this, you probably are too! Like every personality trait, there is a scale of those are extremely introverted and on the other hand some are just mildly reclusive and others who hate to be alone. Whichever you are, your life will be better if you are connected to a tribe because even the most rugged individualist isn’t free from the genetic need for connection. A perfect example of that is the Mountain Men of the early 1800’s. They hated the monotony and drudgery of civilized life and couldn’t resist the lure of the mountains and desert, so they left the old life behind and spent much of their time alone in the glory and beauty of wild nature; constantly on the move, seeing new places and new things. But even in the midst of their need for travel and solitude they had a craving for companionship. They solved that by gathering once each year for a giant party called a Fur Rendezvous. During it they played games, drank, caroused and sold their furs. Christmas Dinner 2012 at Ehrenberg, AZ. Steve prepared that entire dinner also. The Native Americans that surrounded them had a tribe, so they created their own tribe! Everybody (even the extreme loner) needs to belong to a tribe! In many ways we modern day vandwellers are much like the Mountain Men of old: to varying degrees we need to be alone and on the move, but we equally need to occasionally gather together and make connections with like-minded people who understand us. At least I know that’s true for me! I have an unusual need for isolation and alone-time. If I don’t spend quite a bit of time alone every day I start to get antsy and unsettled feeling like the world is closing in on me. But I also love to have others around–just not too much and not too close!! On New Years Day 2012 we didn’t have a dinner, but we had a bonfire and adult beverages at midnight! As I thought about how much I was enjoying visiting with old and new friends I was reminded at how many of my friendships have been made at the many gatherings of vandwellers I’ve been to. Since many of you are new to the website, blog and vandwelling in general you may not know just how many of us there are out here and how large a tribe we have created. It’s such a wonderful community, I want every vandweller to know about it! So many of us gather together in the Arizona desert every winter I’ve opened my camp up to all who are looking for a tribe. It’s opened to you! Every winter 10-20 of us camp together in the desert near Quartzsite, AZ before and after the RTR (Rubber Tramp Rendezvous). Five years ago I began the Rubber Tramp Rendezvous which I modeled after the old Mountain Man Rendezvous. It’s grown every year and I expect this one to be the biggest and best of them all! So in today’s post I’m going to tell you all about the Thanksgiving dinner we have planned for this November, you are all welcome to join us! We may do a Christmas and Thanksgiving Dinner also, but those plans aren’t firm yet so I can’t announce them. Every winter RVers and Vandwellers flock to the Arizona and California desert to spend the winter in a warm and beautiful area. I make it a point to be in a large area of free BLM land so that as many people as want can join me there. Many people are new to the life and it’s easier to get started when you can hang around with experienced folks who love to help and answer questions. But there will be just as many old-timers who are there to make new friends and spend time with old friends. Don’t worry about being crowded, we camp in a huge area and you can be as close and out-going as you want or you can be remote and reclusive. Everyone can find a comfort level that works for them! Very often we camp loosely camp together for several months after the RTR. In 2014 there was a group that camped and traveled together until April when we finally split up and scattered to the four winds. In 2014 about a dozen of us stayed together until the desert got too hot then we moved up to Sedona, AZ for most of April. This is a pizza dinner we had together while we were there. In my next post I’ll tell you all about the RTR that’s coming up in January 6-20, 2015. The ham in the Dutch Oven. The ham cooking with charcoal briquettes on the lid and underneath. It was remarkably easy and turned out as good or better than any ham I’ve ever eaten! This year Steve and our good friend Bryce want to cook a Thanksgiving Dinner again and they want to provide everything, all you have to bring is yourself, an appetite and a plate! They camp together much of the year and they both love to cook! Every Sunday is a gourmet meal in their camp so they get a lot of practice cooking! If you come for Thanksgiving, you are in for a real treat! Every time we’ve held a Holiday Dinner I’ve announced it ahead of time and I always ask people to let me know as far before as you possibly can that you are coming because we need to know how many to cook for! You can understand that can’t you? If we cook for 20 but 50 people show up, everyone is going to leave hungry! Please, let me know if you are going to come. I very well know that our lifestyle doesn’t lend itself to planning ahead so even if you let me know a day or two ahead that’s a big help. Obviously, let me know as soon as you can! We’ll make plenty of food so if a few extra people show up unannounced (which they do every year!) that won’t be a problem. Don’t misunderstand, we want as many people as possible!!! We’ll be glad if a hundred of you show up! We just need to know in advance. Something like this will be waiting for you! We’ll save you a seat! ‹ Ingenious Van Conversion with Simple Indoor Shower! Count me in! I was there for Thanksgiving last year — what fun! Great news LaVonne! It’ll be good to see you again! Larah, we will be very glad you have you join us! Se you soon! Here are some of the riff-raff (including myself) from last year’s Thanksgiving Bob-Fest. Can I count on you again Al! Joe, the enforcement of 14 day land has gotten pretty strict around Quartzsite so we moved over to a little town called Ehrenberg. It’s right on the CA and AZ border. There is a huge amount of land there and there is zero enforcement. There are people there who have been living there for years and never moved. Blythe is a little town a few miles away with good shopping and free water and easy to gt rid of trash. Some of my friends are spending the whole winter there. If you want to work in Quartzsite get here as soon as possible. Lots of jobs right now, but they go fast. Also, there is a new Facebook page for jobs in Quartzsite – https://www.facebook.com/groups/613184802094828/ . Called Quartzsite Help Wanted / Work Needed. I am in Flagstaff which is probably right along you’re way. Stop by if you’d like! 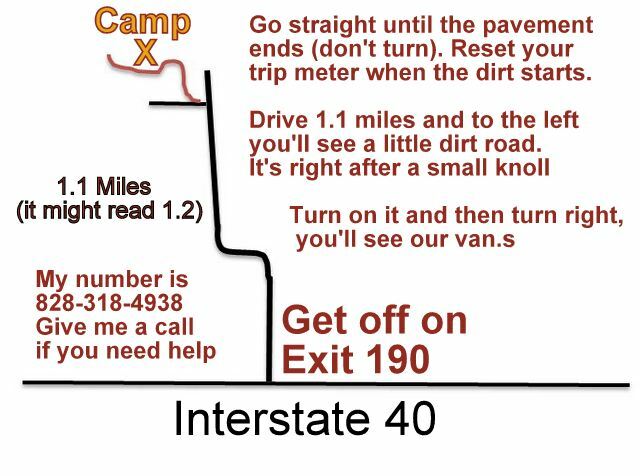 Here is a map to my camp. Call before coming because I could be in town or I may be moving soon. Will I be able to make in there with a 2-wheel drive truck and a 5’er? I will be there and probably also Vincent Moseman who will be camping near me on LTVA. I can bake stuff ahead of time in the solar oven if you let me know. I am assuming this will be at Ehrenberg again. Others will need a map or directions. Charlene, It’ll be great to see you again! Yes, we will be at the same place at Ehrenberg. Looks like an amazing gathering and so much fun! Can’t wait for the time when I can join in. I have an unrelated question Bob so will send it via email. Thank you for the invite. Shawna, hopefully, one of these days you can make it! Mr. Pico and I would love to come for Dinner…I would like to bake a desert with apples, figs, and apricots in my new oven. This all sounds wonderful! Sameer recently posted…Join the Tribe at Thanksgiving! It’ll be great to have you there Sameer! Great Lori, I’ll let you know if you can bring anything! Barring great good fortune, I will only be there in daydreams this time. One of these days Calvin …. Will be there. Headed west first part of November if not sooner. Any idea of what you would like me to bring? D.M., it’ll be nice to have you here! I’ll let you know if you can bring anythging. Bob, looks like I will still have the 5-th wheel with me after all. If there is room for me I will be there. Either way I’m looking forward to seeing both you and Judy again! Scott, It’ll be great to see you again! I’m glad you’re getting to Quartzsite although Florida would have been great for you too. No worries about the Fifth wheel! It’s a huge area and could probably hold 500 of them. It’s free and there are no Rangers! There is a Flying J just 2 miles away where you can get water and dump. The ranger situation is different this year, at least in the closer-in Quartzsite area… Clyde, the one who gave so many of us grief in the past, is not returning. There is a new younger Ranger (without a gun) named Richard. He is quoting rules not written down, like told me I could not sleep in the van and then also sleep in my tent part of the time. I would have to have a second permit to use the tent. It’s not in the handout they give you. Like I said, he is younger and I don’t know if that will make life better or worse. I’m only referring to the LTVA here, but he will also be patrolling the 2-week free areas along with Jim, who was here before. It’s only the two of them… for all this land, LTVA and Free 2-wk areas. They are also responsible for the BLM Day Use areas as well. Charlene, they seemed to have gotten pretty strict so I avoid it for the most part. No Rangers at Ehrenberg, free water and easy to get rid of trash. Best of all, much better shopping. Thanks for the invitation – I will attend in spirit. I smiled to see Homer in so many photos. Haven’t heard anything about Cody. Is all ok with him? Sorry to hear that Pam, one of these days!! Yeah, I always feel a twinge of pain and joy when I look at the old photos because Homer is almost always in them. We were inseparable, if I went somewhere he was right there with me. Cody is a great joy to me. In nearly every way he is the perfect dog. There isn’t a day goes by I don’t think how much he is like Homer. In a few ways he’s very different though. Homer would eat anything with great gusto!!! Cody is a picky and dainty eater! I have to keep after him to eat and he is already very skinny. The vet said we are so used to seeing fat dogs that when a dog is the perfect weight we worry he is starving to death! I have to admit I do worry sometimes. But he is the epitome of dog health and fitness! He is the Universe’s gift to me! One I greatly treasure! I’ll be there, Bob! I’d like to bring something to add to the food (or plates, etc.) so please let me know what would be the best thing to bring. Looking forward to it! Lois, let me get back to you on that. My friends are doing all the cooking and they are kind of touchy about people bringing things. I’ll talk to them soon. Alrighty! Maybe there’ll be a can we can deposit some $$ into? (I’m happy to say that this is the first time in many years that I can say I can actually do that! Yay!) In any case, please let me know if there’s anything I can participate in/with. Thanks, Bob! Lois, let me get back to you on that. I’m not sure what we are going to do about that yet. But I very much appreciate the offer! We are having fun baking on the big bbq grill. This Thanksgiving will be the best ever. Can’t wait to meet new folks. Make new friends. I am moving my camp to Ehrenberg on Friday, 24 October. Winter in the desert sunshine is so nice. See you all Thanksgiving Day. Bring an appetite. Steve knows how to cook. Thanks Bryce!!! Bryce and Steve are the real hosts of the dinner! They will be doing the cooking and mainly using Bryces camp for the dinner! I’m changing my plans as well, I’ll be going down to Ehrenberg pretty soon myself. I’m surprised by how much it has cooled off so early. I will be there for sure! Just moved back into the van today, after 4 months of house sitting… I am so happy. Will leave here in about 10 days to head towards Quartzsite so should be there in early November. Happy to hear we are staying at the same place in Ehrenberg… wonder if Layla will recognize it? Great news Silvianne! I’m looking forward to seeing you again! I’m afraid she is out of the frying pan and into the fire; Homer is gone but Cody has just as powerful a chase instinct. But he’s half the size so I bet Layala can put the fear of god into him! De Jazz Lady will be there. I so want this life! Working the plan! Thank you for having this website! Melinda, one step at a time and your dreams will come true! As radical as I am in my opinions, at their core nearly all the great religions agree that our main main purpose is to live as simply as possible and serve others. My message is to serve others by not destroying our eco-system. To be honest with you I don’t know how you add an avator. I never see the users end of the blog because I am automatically logged in as an administrator. Can somebody tell us how? Hi Steve, I’m glad you found the site and found it helpful. I think hitting the road is a very good idea for you. Being an RV tech you should be able to keep busy and support yourself very well. Since you’ve had a health scare the very best thing to do is to get back to nature and find the peace and calm that only it can bring you. It will provide healing for your soul and the healing to your soul will be very, very good for your body!! Stress kills and you can kiss stress goodbye out here! If your health scare comes back, you will be very, very glad you lived your life to it’s fullest NOW. That is always my advice to everyone no matter their health. THANKS BOB MY PLAN IS TO DO THIS IN THE NEXT FEW YEARS, I GOT A FEW THINGS I WANT TO HAVE DONE THAN HERE I COME, LOL AND THANKS AGAIN BOB SEE YOU SOON. Steve… Bob was the first person I met when I hit the road. In fact, he assisted me when I installed my roof vent (my #1 requirement of van living). I agree with Bob 100%. Do it! You could have been describing my life in your comments to Bob. I’d be happy to communicate with you one on one. Maybe you can join us all in January. I’m on Facebook as Charlene Swankie Wheels. I wish you the best, Steve, as you make your preparations! disregard question under the august post, found this thanksgiving info… hmmm very tempting, will have to see how stuff goes. i will definitely let you know ahead of time if i will be there though. Hope to see you then Anni! looking forward to joining everyone next month and beyond. to make sure i inderstand, you are inviting people to go to Ehrenburg instead of Quartzsite? Is it Obvious, I’m a newbie? I plan to arrive sometime in beginning of November. And another question I have been researching..how and where to find places that pump propane into the RV…Since you mention Flying J is close by, I am curious if they offer propane service. Thanks for whatever you can tell me! Hey all. Would love to join you good folks for Thanksgiving dinner. Will be my first “social event” since hitting the road full-time the end of March (this year). I pull a 16-foot Scamp with a 16-foot Nissan Pathfinder. Will also be my first boondock. I may want to arrive a week or two early to find my comfort zone with this new experience. Bob, I likely need directions once I hit Ehrenberg. I’ll be coming from Kingman, 40 then down 95. Sounds good. I’m at least 2 weeks away. Sharon, will you be arriving this week? I too am a first-timer and have been at Buckskin Mt. State Park for the last few days, leaving tomorrow. Perhaps we can hook up in Quartzsite or Ehrenberg. I expect to arrive tomorrow or Thu. Am I too early to join others in Ehrenberg? Jo, I’m here and I emailed you my phone number. Give me a call tomorrow and I’ll guide you in. That’s wonderful Cheri. I’ll be very glad to see you again!